With Thanksgiving approaching, I know the GAPS diet can seem daunting. 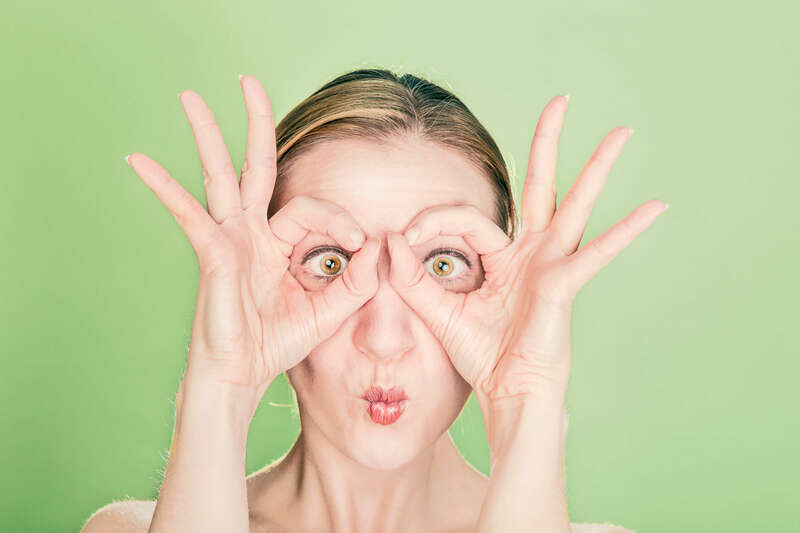 You’re left with the choice of either watching on in envy as others enjoy yummy foods, or wrecking your progress and indulging in foods that disagree with both your body and your health goals. But there is another way! Not only can you enjoy your favorite holiday foods, but you can stick with GAPS diet foods too! 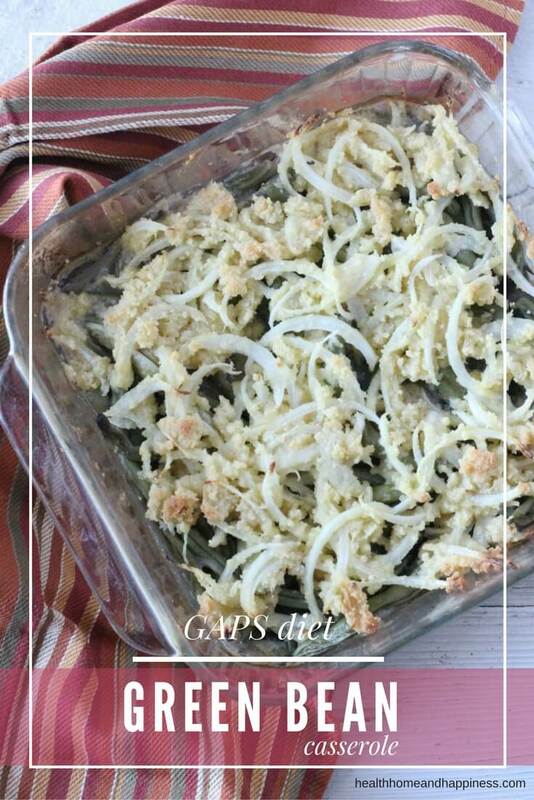 Below, I’ll share my gluten free green bean casserole, plus show you the secret weapon to enjoying the holidays on GAPS. Note from Cara: This recipe is from Nourishing Holiday, a beautiful e-book to get you through all the holiday feasts without compromising health or taste. Check it out here! Let’s take a look at some of the ingredients that are found in the typical holiday casserole: canned cream of mushroom soup, canned vegetables, and canned crispy onions. Basically, no real or fresh food, but lots of pseudo-foods and problematic ingredients. Canned vegetables often contain additives and are sold in cans that contain BPA or other toxins. corn… oh yeah, and onions. 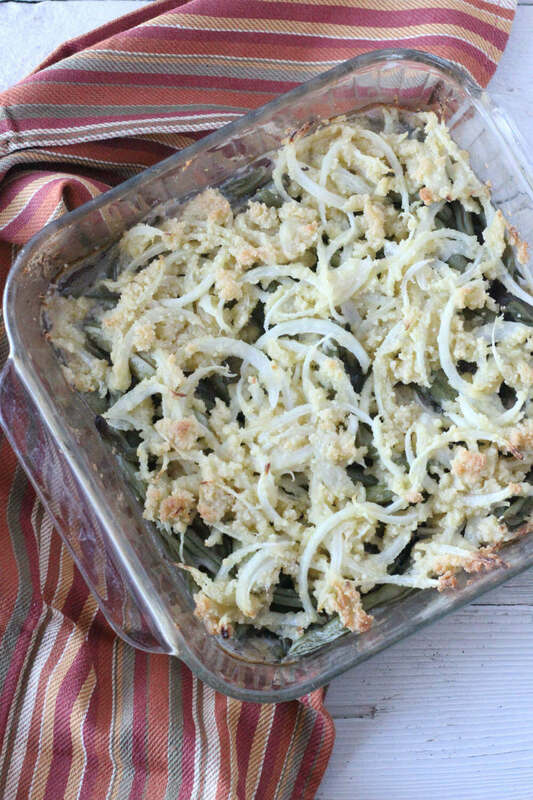 It turns out you can make a delicious gluten free green bean casserole with nourishing, GAPS-friendly ingredients that your family will love. I recently created such a recipe and included it in my new digital holiday cookbook, Nourishing Holiday, which is designed just for the GAPS diet. No one should have to forgo holiday celebrations just because they choose to nourish their body! I’ll share my gluten free green bean casserole below, but first, I want to tell you what you’ll find in Nourishing Holiday. I’ve created over 50 grain-free, gut-healing recipes for every celebration. You’ll find the turkey and the ham, of course, as well as perfect turkey gravy, grain-free dinner rolls, and cakes, pies, and cookies galore. You really can have your (grain-free) cake and eat it too! Grab it for 50% off for a limited time here. And without further ado, here’s the recipe you’ve been waiting for. Cheers to a healthy holiday! 2 tbsp melted butter Replace with palm shortening for dairy-free option. 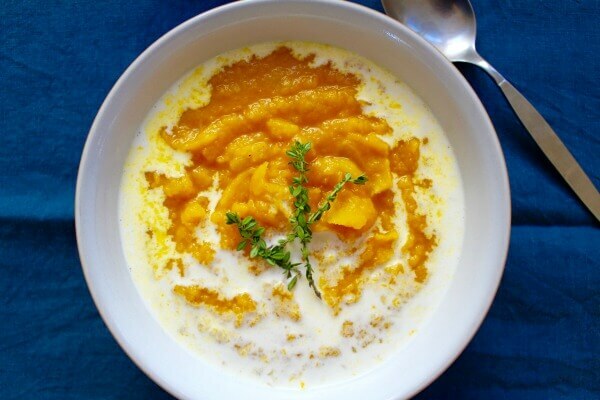 In a large bowl, combine butter, almond flour, and ½ tsp salt and stir. Toss the onion slices in the mixture to coat them. 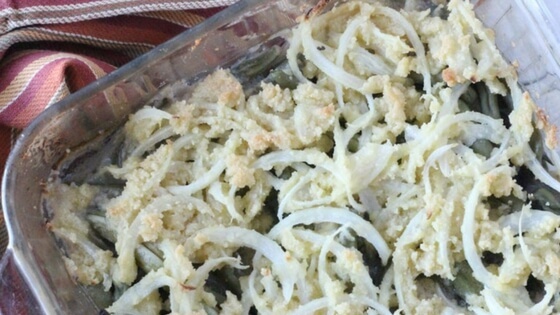 Place the green beans, remaining salt, and cream of mushroom soup in an 8 X 8 baking dish and stir. Top green beans with onion mixture, then cover and bake for 30 minutes. Remove the cover and bake for 20-30 minutes longer, until almond flour becomes brown and slightly crispy. Was the photo taken before or after cooking the casserole?